Since 1992, Conifer Canine has been your number one source for canine handler certification & professional dog training courses in Ohio. 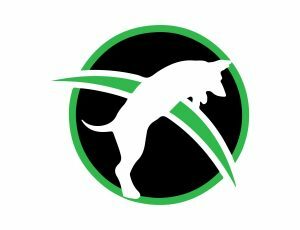 We are proudly recognized by the Association of Professional Dog Trainers, the American Police Canine Association and several others. Conifer Canine trains your dogs in on and off leash obedience for reliability, as well as liability and safety. You can bring your canine from Ohio to be trained at our Spencer, Indiana school or if it’s you that needs to be trained and certified, we can do that as well! For years, we have been recognized by several organizations, including the Indiana Law Enforcement Agency in offering services such as K9 dog and handler training, as well as personnel support. Conifer Canine is your number one choice for police K9 training near Ohio and across the country. For drug dog training and drug interdiction training, there’s no one better than Conifer Canine. We specialize in not only the training of narcotics detection dogs, but the training of drug dog detection handlers. Our drug dog handler courses near Ohio teach, among other tasks, proper search techniques, evidence handling, avoiding liability, case law involving canine related searches / prosecutions and others. Training can be suite to the needs of your specific agency or department, including the choice of aggressive or passive alert. We can train your narcotics detection dogs to sniff out marijuana, heroin, meth, cocaine and more. The training of explosive detection dogs is another specialty of Conifer Canine. We train several breeds to detect formulations such as TNT, RDX, Chlorate, PETN, Nitrates and other derivatives. Conifer Canine uses a passive alert for the training of these explosive detection dogs, and we also offer handler training. Bomb detection dog handler courses include practical lessons, scent theory and proper search techniques. Another specialty of Conifer Canine is the training of dogs for security purposes. From airports and special events to commercial and construction security, it’s critical to have alternative ways to pursue and apprehend suspects. At times, the simple existence of security dogs can reduce disturbances. Our Ohio security dog training courses teach canines to use their impeccable sense of smell and hearing. We also offer courses for security dog handlers, and security teams can be certified by Conifer Canine. Conifer Canine also offers patrol dog training courses near Ohio for special events. Having a patrol dog in attendance can reduce disturbances and increase safety. Our patrol dogs are trained in suspect search, pursuit and apprehension, detection, handler protection and more. Patrol dog handler courses are also available. The use of detection dogs has had proven results in a variety of fields. At Conifer Canine we offer detection dog training courses & certification near Ohio for narcotics, explosives, bed bugs, cancer, contraband foods, cadavers and more. First-class handler courses are also available with us, improving the bond between handler and dog. All detection dogs are trained in basic (on-leash) and advanced (off-leash) obedience training and are environmentally stable dogs. This allows us to train these detection dogs for searching vehicles, warehouses and other areas or facilities. Ohio cadaver (HRD) dog training courses are also available here at Conifer Canine. Using a dog’s exquisite sense of smell, we teach them to detect the odor of human remains. Our course also teaches cadaver detection dogs to alert, problem solve and remain obedient when at a distance from their handler. Dogs are trained for land and water, with record keeping and other details included. Conifer Canine also offers courses in bed bug detection training near Ohio, whether it be for one-time searches, or routine inspections. We also train our scent detection dogs to find not only live bugs, but viable eggs as well from either active infestations, or old ones. The use of bed bug detection dogs saves you the hassle of moving furniture and tearing apart rooms to find the infestation. From escape plans to controlling criminal activity on the outside, cell phones are used for anything and everything as one of the most popular items of contraband among inmates. Conifer Canine offers cell phone detection canine training near Ohio to provide correctional facilities with more control over the easily smuggled problem of prison cell phones. If you are searching for firearms detection dog training courses near Ohio, this is also something that Conifer Canine offers. Typically used in airports, gun detection dogs sniff out brand new or previously used firearms, as well as ammunition to improve public safety. We train these canines to alert their handler that a firearm has been detected, and lead them to the person or place it was found. Whether it’s your dog in need of professional training, or you’re looking to jump into the industry as a trainer or handler, Conifer Canine near Ohio is your most trusted option. We are an experienced dog trainer certification school, as well as qualified dog trainers, get started by contacting Conifer Canine for more information today!